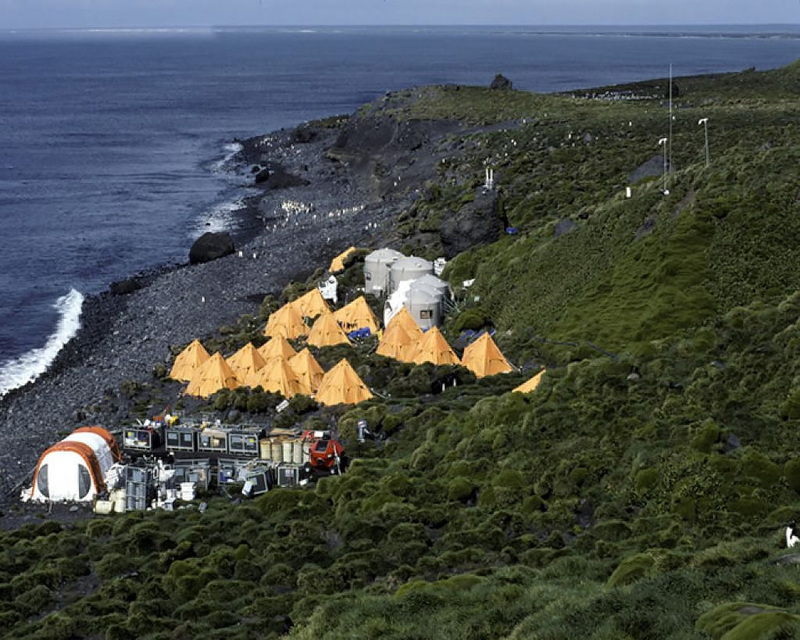 Because we will be on the air at the same time as the FT4JA DXpedition – and because we will both be operating from a very similar time zone – it is very important that we coordinate with the French Team, and we have. 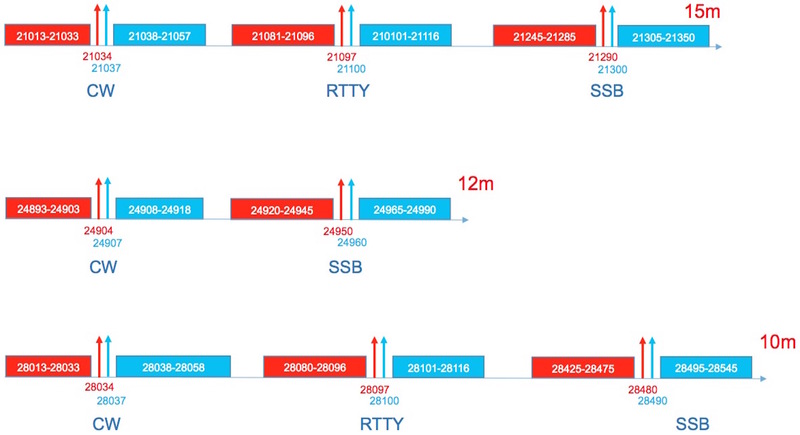 We will use different frequencies for RTTY to allow a greater listening range until FT4JA comes on the air. We may occasionally deviate from this plan before FT4JA comes on the air, if the op considers it useful to do so. We also will make sure we are on valid and legal frequencies for 80M SSB. Some people have noted operators are slightly off the planned calling frequencies. Choice of frequencies is at the discretion of the operators, so listen, listen, listen. In 1997, VK0IR stayed at Atlas Cove, which you can see in the above map – in the upper left hand corner – and where you can see it provided good service to all parts of the world except the West Coast, parts of the Central US, and VK/ZL and Oceania. 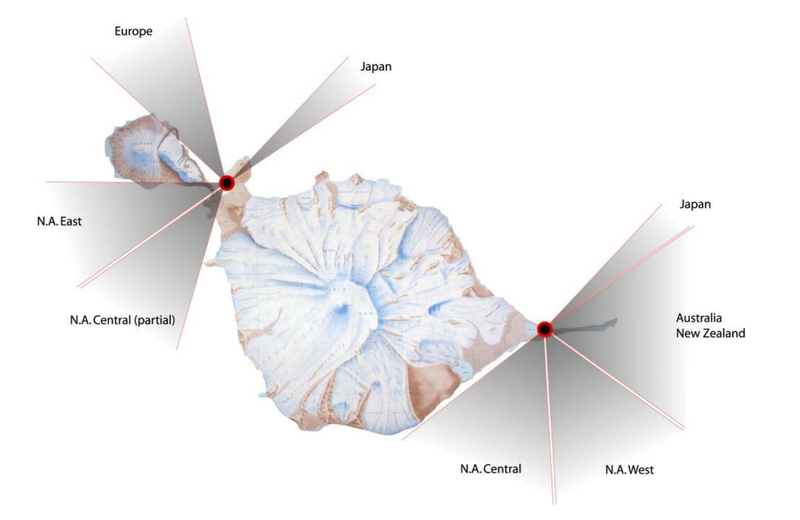 Dean Straw, N6BV has completed a full HFTA analysis of both Atlas Cove and Spit Bay, and found that the 8,000 foot tall Mawson Peak (aka “Big Ben”) that is in the middle of the island acts as a major blocker to signals when you are at either end of the island. 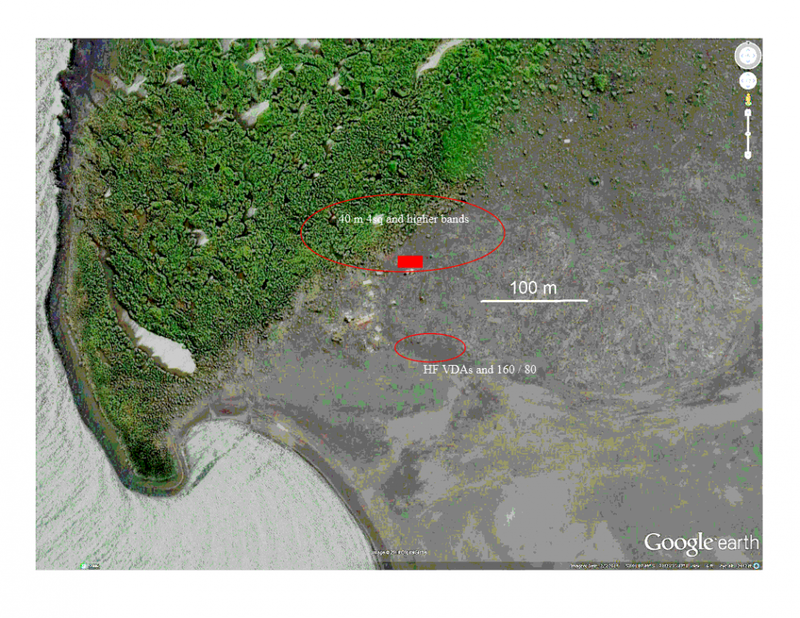 We will use this natural blocker to our advantage – and will set up stations at the original VK0IR site – Atlas Cove, and at a second site – Sealers Beach / Doppler Hill – which is located at Spit Bay (which is the area on the first map above that is in the lower right hand corner of that map). We will be using phased vertical arrays on all bands 80 – 30M plus a very tall 160M antenna with top loading. It will be guyed in 5 places due to the high winds. 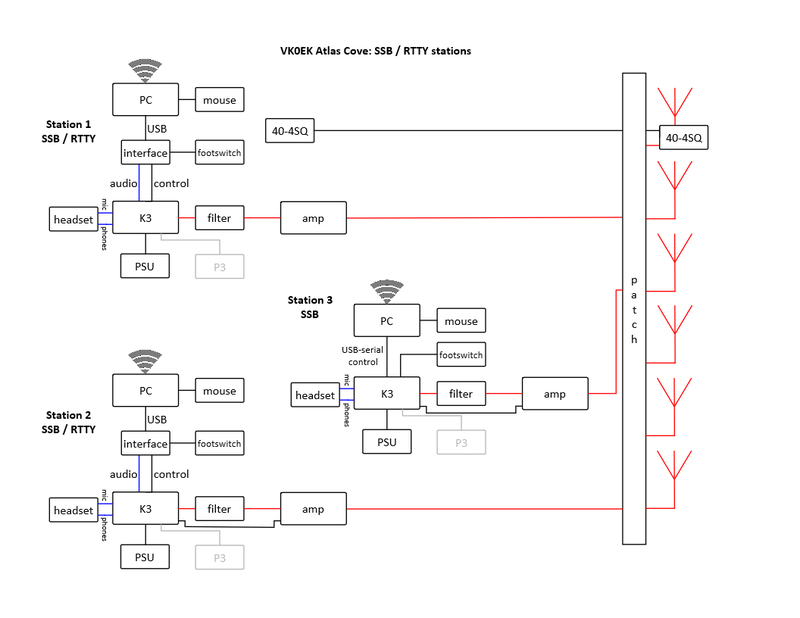 We will be using an excellent receiving array on Top Band. 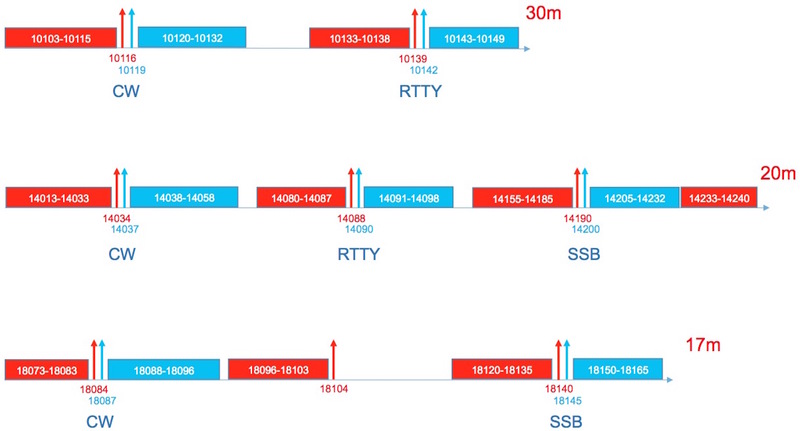 All verticals will be placed next to a salt water wash – so we expect great low band signals. and Vadym, UT6UD is a multi-award winning Top Band operator who is leading our low band charge. We will be using yagi’s up on the rise for all bands 20 – 10M. 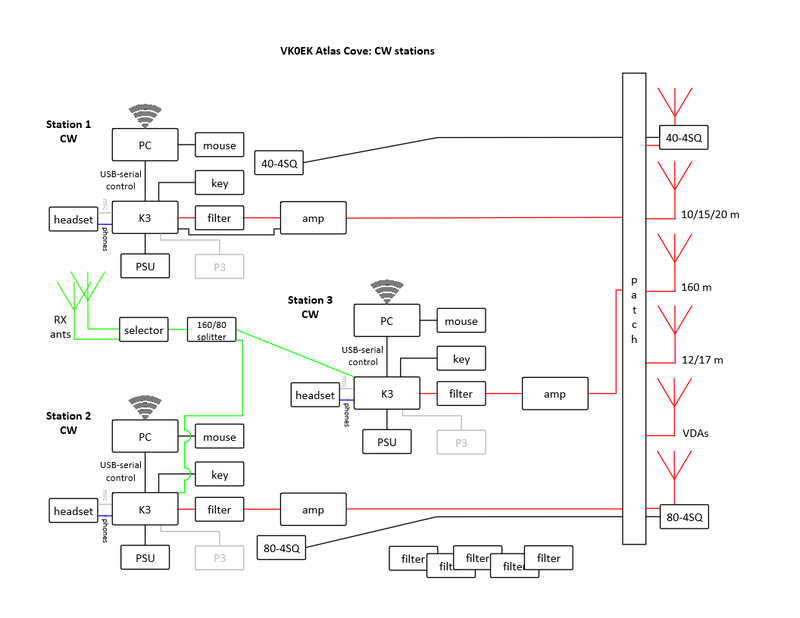 We have consulted with Arliss, W7XU who told us what worked and what didn’t as far as guying antennas during the VP8 DXpedition. The rule of thumb is to “over guy” – guy antennas more than you would have ever expected to have to guy them during your initial planning sessions! The combination of the best antennas, unobstructed directivity, using the blocking affect of Big Ben on rejecting unwanted signals, and full legal power will mean our signals will be very strong to all parts of the world. 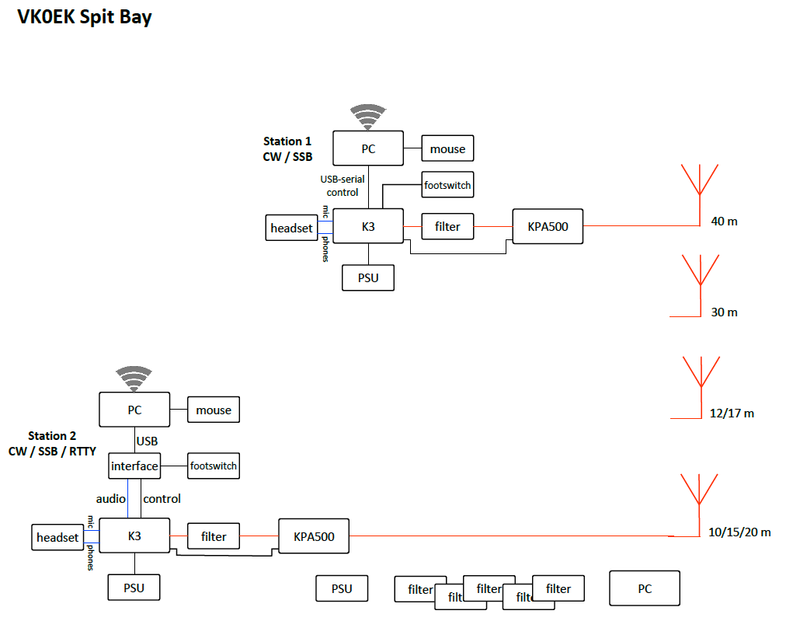 Here are our station plans – with equipment being loaned or donated from Elecraft, Array Solutions, DX Engineering, Force-12 / Innovantennas and Arlan Communications. While not shown on the PLAN, there is a 30m 4-Square at the Atlas site. Our phased vertical arrays will be set up next to the sea and our high band yagi’s will be set up at the top of the hill on the upper right portion of this photo – and will be pointing straight over water towards the US West and Central portions of the US. When the US is not accessible – this location will fill in several other areas that Atlas Cove does not cover as well. 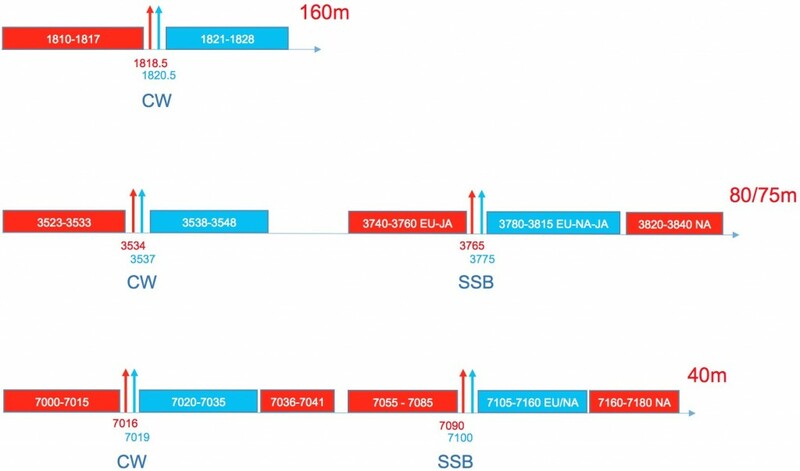 This means – we will have MUCH better coverage than VK0IR, and even with a declining sunspot cycle – we will have an SSN twice what VK0IR did. Almost all paths are non polar to the entire world – so we are very excited about our coverage and our antenna plan!.